The very promising OER concept is around for more than 15 years and the goals of the inspiring Opening up Education (OuE) initiative were first presented almost 5 years ago by the European Commission. In between the MOOCs came up as a very powerful and attractive – some called it a disruptive – approach, boosting online learning for large target groups. The MOOCs development originated in the US and meanwhile has expanded to many countries through a broad range of MOOCs initiatives. It looks like the OER and OuE developments have more or less been overwhelmed by the success of the MOOCs movement. With sincere appreciation of what the MOOCs have brought us, I would like to remind ourselves and ask full attention of the audience for the remaining really strong and beneficial potential of both the OER and OuE concept as compared to the more instrumental MOOCs movement. I will present the so-called Pentagon model for Open Education with one of the five components being OER in order to better understand the role of OER versus the other four components (wherein the MOOCs can be positioned). Moreover, I will introduce the audience into the so-called ‘Iron Triangle Scan’ with which educational innovations can be assessed along three performance indicators: accessibility, quality, and efficiency. As examples we will consider OER, OuE, and MOOCs and draw our conclusions in a ‘last wake-up call’ upon us. That is to realize and understand that the benefits of the openness in OER (and partly in OuE) for the transparency, accessibility, quality, and efficiency of HE are huge and cannot be denied. By now we should ignore all efforts of publishers who maintain undermining the process of Opening up Education. At the same time we should focus on strengthening the attitudes and competencies of the academic teaching staff and guide them in this process. The result will turn out to be very rewarding: mainstreaming of openness in education. Mulder, F. (2006), The advancement of Lifelong Learning through Open Educational Resources in an open and flexible (self)learning context. Heerlen: Open Universiteit (Dies address book, pp. 35-44). Retrieved from: https://www.ou.nl/documents/10815/c101366f-faf6-4796-abec-06d069ac8278. Mulder, F., and Rikers, J. (eds.) (2008), A Golden Combi?! – OER and Open, Flexible and Distance Learning. Final Report ICDE Global Task Force on OER. Oslo: ICDE. Retrieved from: https://www.dropbox.com/home/Public?preview=ICDE+2008+OER+Task+Force+Report.doc. Schuwer, R., and Mulder, F. (2009), ‘OpenER, a Dutch initiative in Open Educational Resources’. Open Learning, Volume 24, Number 1, pp. 67-76. Retrieved from: http://www.tandfonline.com/doi/abs/10.1080/02680510802627852. Mulder, F. (2010), Open …. Heerlen: Open Universiteit (Rectorate farewell address book, pp. 5-25, in Dutch). Retrieved from: https://www.ou.nl/c/document_library/get_file?uuid=0be0bd20-1a82-467e-abc4-02b7e65fdc91&groupId=10815. Carson, S., S. Kanchanaraksa, I. Gooding, F. Mulder, and R. Schuwer (2012), ‘Impact of OpenCourseWare publication on higher education participation and student recruitment’. IRRODL, Volume 13, Number 4, pp. 19-32. Retrieved from: http://www.irrodl.org/index.php/irrodl/article/view/1238. Janssen, B., R. Schuwer, and F. Mulder (2012), ‘A business model approach for OER in Open Universities’. In: Okada, A. (2012), Open Educational Resources and Social Networks: Co-Learning and Professional Development. London: Scholio Educational Research & Publishing. Retrieved from: http://oer.kmi.open.ac.uk/?page_id=2304#.Vo5KYvnhDIU. Mulder, F. (2013), ‘The logic of national policies and strategies for open educational resources’. IRRODL, Volume 14, Number 2, pp. 96-105. Retrieved from: http://www.irrodl.org/index.php/irrodl/article/view/1536/2518. Mulder, F., and Janssen, B. (2013), ‘Opening up education’. In: Trend Report OER 2013. Utrecht (NL): SURF SIG OER, pp. 36-42. Retrieved from: http://www.surf.nl/binaries/content/assets/surf/en/knowledgebase/2013/Trend+Report+OER+2013_EN_DEF+07032013+%28HR%29.pdf. Mulder, F. (2015), ‘Open(ing up) education for all … boosted by MOOCs?’. In: C.J. Bonk, M.M. Lee, T.C. Reeves, and T.H. Reynolds (eds. ), MOOCs and Open Education Around the World (pp. xviii-xxvii). Routledge, New York. Retrieved from: https://www.routledge.com/products/9781138807419, or (licensed CC BY 4.0): http://www.eadtu.eu/home/publications/open-education-moocs-publications. Mulder, F., and D. Jansen (2015), ‘MOOCs for Opening Up Education and the OpenupEd initiative’. In: C.J. Bonk, M.M. Lee, T.C. Reeves, and T.H. Reynolds (eds. ), MOOCs and Open Education Around the World (pp. 130-142). Routledge, New York (https://www.routledge.com/products/9781138807419). Retrieved from: (licensed CC BY 4.0): http://www.eadtu.eu/home/publications/open-education-moocs-publications. Agbu, J-F. O., F. Mulder, F. de Vries, V. Tenebe, and A. Caine (2016), ‘The Best of Two Open Worlds at the National Open University of Nigeria’. Open Praxis, Volume 8, Issue 2, pp. 111–121. Retrieved from: http://www.openpraxis.org/index.php/OpenPraxis/article/view/323/213. J. Pete, F. Mulder, and J.D. Oliveira Neto (2017), ‘Differentiation in Access to, and the Use and Sharing of (Open) Educational Resources among Students and Lecturers at Kenyan Universities’. Open Praxis, accepted for publication in Volume 9, Issue 2. 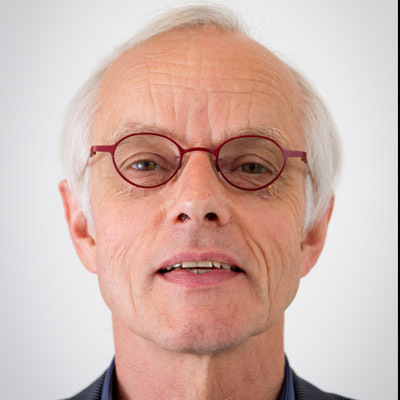 Fred Mulder is an emeritus Professor of the Open University of The Netherlands (OUNL) where he has held a UNESCO / ICDE Chair in OER (Open Educational Resources ) from 2010 until 2014, and where he has been working as of the OU initiation in 1983. From 2000 until 2010 he was Rector of OUNL, and during this term he was Chair of the Dutch University Rector’s Conference (2007/2008). Since 2005 he has been actively involved in OER initiatives and policies at the national level, by UNESCO, the OECD, and the EU, as well as with the European and global organisations of Open Universities and the like, EADTU and ICDE. He initiated the first pan-European MOOCs initiative OpenupEd which was launched in April 2013 by EADTU in a joint communication with the European Commission, and was its first Chair until summer 2015. In 2012 he started the Global OER Graduate Network, connecting PhD researchers and their supervisors around the world, for which he was the Academic Coordinator until summer 2015. Fred Mulder has received a Royal decoration (2007) for his work in Lifelong Learning, the ICDE Individual Prize of Excellence (2012) for his efforts in OER, and the Leadership Excellence Award of the Open Education Consortium, previously OpenCourseWare Consortium (2014). In his last-decade focus areas OER, MOOCs and Opening up Education he is actively publishing both scientific and popular papers, supervising various PhD studies, and a frequently invited speaker at conferences, workshops and public lectures. He is heavily involved in an international initiative called ‘The Mind of the Universe’ started by a Dutch broadcaster and launched in May 2017. The MIND is exploring the frontiers of science and technology with thirty world-class scholars from around the globe, enjoys UNESCO patronage, and is positioned in the ‘World of Open’ where it combines a TV series, an additional digital content base, and learning experiences. Fred Mulder holds degrees in Chemical Engineering (BSc), Applied Mathematics (MSc Engineering) and Theoretical Chemistry (PhD), and became a Full Professor in Informatics Education at OUNL in 1991.